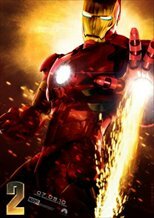 "Iron Man 2 was an amazing entertaining film, but still a no-brainer. I'm not saying Inception is smart, but is more of a puzzle. And I love puzzles :)"